Top Journalist and corporate climber, McKayla Buchanan, is sent to a remote California mountain camp for inner-city, at-risk teens. Accustomed to political and high-society assignments, she is suddenly a fish out of water. At Camp In As Much, she meets eight hostile and distrustful teens, assorted volunteers and rescued horses—and Clay. Clay Michaels is the man who founded Camp In As Much and made it the success it is now. His hope for the highly recommended journalist is to come and write a feature to send seeds out to form other camps like his nationwide. He never considered the reporter would turn out to be a lovely woman, or for him to have such an attraction to her. Between McKayla’s worldly experience and Clay’s strong faith, they form a partnership to help with the endless challenges of the kids. While McKayla’s assignment is supposed to be temporary, it isn’t long before she and Clay are each wishing it could last longer. A serious situation will force McKayla to decide if she can give up her worldly ways and place her faith in the same higher source that earthy and godly Clay does. “I know that,” Clay said softly. “But what if Will ends up the same?” He tapped one thumb on the file. He gave her a sad smile, small and barely there, but it lit her heart up nonetheless. She searched his face again, eagerly looking for a spark of hopefulness. A glimmer of the calm determination she had come to expect from him. An idea struck her, fast and uncharacteristically bold. “I’ll tell you what, when you go talk to Will about this joyriding event, and his consequences, let me go along with you,” she offered. Surrendering to a throbbing need that refused to be silenced, she lowered her face to his upturned lips, touching for a kiss she just knew would be delicious. 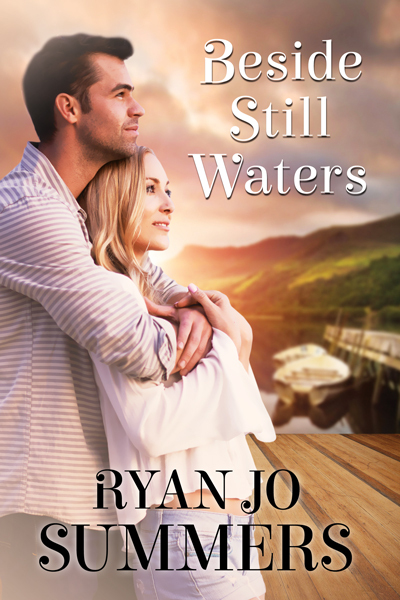 Ryan Jo Summers writes romance across the genres. Her books contain love stories blended with any combination of mystery, paranormal, time travel, shape shifting, Christian and humor elements. She comes from a family of wordsmiths. Her dad is a songwriter and his aunt wrote poetry. Ryan Jo dabbles in poetry, short stories and non-fiction articles. In her spare time, she enjoys cooking and baking, reading, spending time with friends, growing plants, playing chess, mah jongg, and wiggly word find puzzles and exploring the great outdoors. She lives in the heart of Appalachia in Western North Carolina in a charming old cottage with a menagerie of rescue pets.